This work will appeal to those who question Darwinist theories or find untenable the customary theological dogmas of human origin. 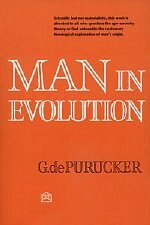 Analyzing theosophical doctrines of evolution in relation to scientific fact, the author shows that "man is his own history" — physically the repertory of all stocks below him; spiritually the "intelligent agency" motivating and working through all forms to evolutionary perfection. This edition contains appendices by Charles J. Ryan and Blair A. Moffett which compare findings of the physical and life sciences with theosophic thought.